René Lalique (1860–1945) was a French designer of glass and jewelry. He studied art in Paris at the École des Arts Décoratifs between 1874 and 1876. He then studied for two years at the Crystal Palace School of Art in Sydenham near London. 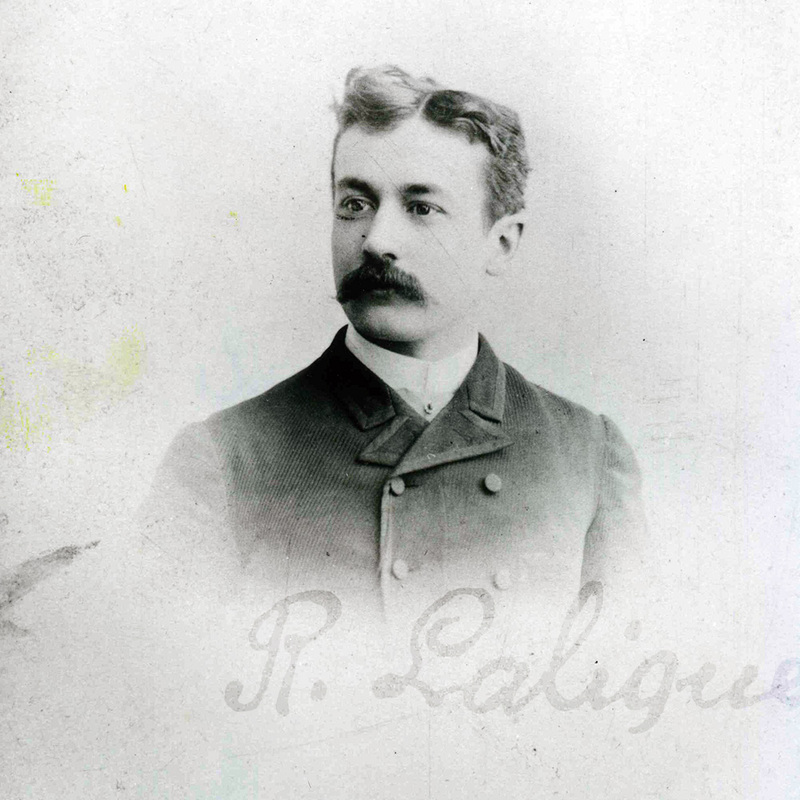 In 1887, he opened his own business in Paris where he designed and manufactured jewelry and glass. Beginning in the mid-1890s, he designed jewelry for the actress Sarah Bernhardt, including the jewelry for several of the plays in which she acted. In 1894, he sketched her as Theodora with imaginative crowns for her revival of the Victorien Sardou play, Théodora. It is likely, however, that these designs were never executed. In 1896, he designed a commemorative medallion of the bust of Sarah Bernhardt.